Opening a new chapter in sexual life by using the gag ball. Soft material makes beginners not to get hurt. 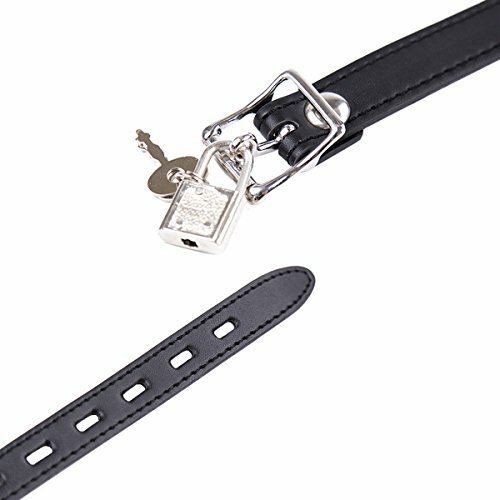 PU-leder strap with buckle multi-adjustable. According to your belt length adjustment head size. Package includes: 1x mouth gag ball, 1x lock and 1x key. Medical silicone + PU leather. 100% healthy silicone material, tasteless harmless, there will be no harm to humans. 100% waterproof safe nontoxic odorless and hypoallergenic. Made of a material through a doctor certified. If you want your bedroom more fun, please consider us as one of your choice, you will find it worthwhile to try. So really recommended for couples and lovers.